Mary province, the third biggest city in southeast Turkmenistan, proudly displays a big oasis in the middle of the Kara Kum Desert. Mary was founded in 1884 as a Russian military administrative center 30 kilometers from ancient Merv. Scientists love Mary because of its many ancient barrows including Big and Small Gyzkala. These represent numerous manors of medieval feudal lords. Various cities served as capitals of ancient Merv across time, make a reserved historical architectural zone of a modern Bairamali century. Among these are the Sultan - kala (IX-XII centuries), Gyaur-kala (III century up to AD VIII-IX century), Erk-kala (I century up to AD), Abdullahan-kala (XV century) and Bairamalihan-kala (XVIII century). 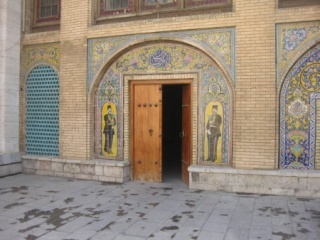 Merv's most important sight is the mausoleum of Sultan Sandjar (1118-1157). MaryAlmost 100 km separated modern Bairamali, housing a famous medical and rest resort in Turkmenistan, from the most ancient civilizations. Margush or Margiana was well-known to the Ancient world for fine art and material culture. Today it is a major center of the cotton industry, a crossroads, and the main center of the gas industry bringing the most revenues to Turkmenistan's treasury. 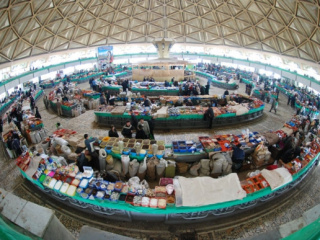 The city's most interesting places are the History Museum, Turkmen carpets, national costumes, and silver. Some ancient settlement, the capitals of ancient Merv at different times, make up the state-protected historical-architectural zone "Bairamali".